During the first week of this month, PiunikaWeb was the first publication to highlight plans of a log off protest being mooted by some Tumblr users. Well, the idea – that users log off from Tumblr on December 17 for 24 hours – gained some steam in the past few days, at least if you by interactions on social media platforms like Twitter. 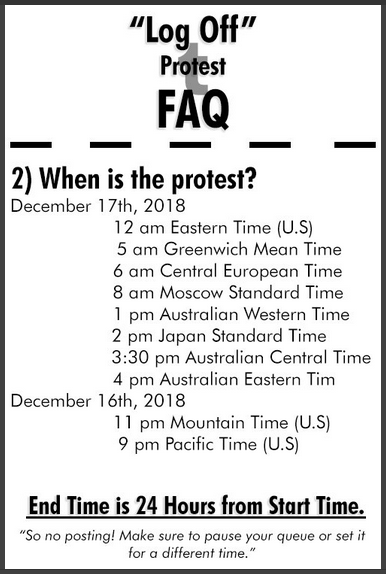 And now – given that it’s December 17 in many parts of the world – the protest has begun as we speak. LOG OFF OF TUMBLR NOW! The #logoff2018 protest has begun! More details related to the ban were recently shared (screenshots below). Basically, users are protesting the flagging system Tumblr is using for filtering out NSFW/explicit/adult posts and blogs so that they can be made private starting December 17. 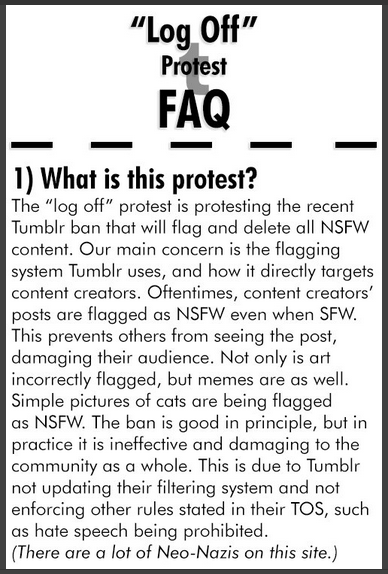 Protesters say the flagging system is faulty as it even marks SFW content as explicit, and hence, it’s hurting content creators and the Tumblr community as a whole. 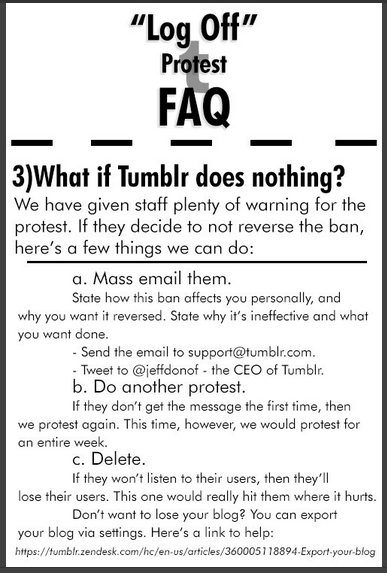 As of now, the protest involves ignoring Tumblr completely for 24 hours, which presumably is way to hit the company’s ad revenue (although how much of the Tumblr’s revenue will get affected is still debatable). But if this protest fails, the next steps involve mass emailing the company as well mass tweeting the company’s CEO. And if that too fails to yield any results, then the same protest will again happen, but for a week. If nothing happens still, the final step would be to say Tumblr bye forever. And as for user response to this protest call, a large number of users are apparently supporting it. tumblr, for some of us, is our home. you should not alienate your fanbase to 'make your site better.' you should instead get rid of the very harmful things and rampant harassment that do harm people.